Having an ingrown toenail can cause agonizing pain with each step you take, but it can also lead to a severe infection. If you have an ingrown toenail, or if it seems like you continuously get them, schedule an exam at Animas Foot & Ankle in Durango, Colorado. The podiatry team offers fast and effective ingrown toenail solutions, so you won’t have to live another day in discomfort. 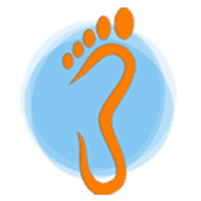 Book your ingrown toenail appointment online or over the phone. Even though your toenail should ideally grow up and over your nail bed, in some cases, it starts growing into your skin. This is called an ingrown toenail. One of the top causes of an ingrown toenail is improper trimming. Sometimes, ingrown toenails develop because of your inherited nail shape. If your nails are abnormally curved, your chances of regularly having ingrown toenails increases. Are There Symptoms of an Ingrown Toenail? You might even find that your toe has a foul odor, which is often a clear indicator that you have an infection. Since untreated ingrown toenails can lead to severe bone infections, it’s important to get treatment at Animas Foot & Ankle right away. Your ingrown toenail treatment at Animas Foot & Ankle depends on the severity of your condition. If you have a minor ingrown toenail, for example, you may benefit from a simple nail splint. This treatment involves placing a splint under your toenail to encourage your nail to grow up and over your skin. But if your ingrown toenail is severely embedded into your skin, or if it’s infected, you might need ingrown toenail surgery. This procedure involves thoroughly numbing your toe. Your dedicated podiatrist gently trims away the ingrown part of your nail, so they can treat any underlying infection. If you continue struggling with ingrown toenails, your podiatrist might suggest removing your entire toenail. They can treat your nail bed with a chemical solution or laser, so your nail doesn’t grow back. Before your ingrown toenail worsens, schedule an evaluation at Animas Foot & Ankle. Click on the online scheduler, or call your closest office directly.